Actually, I have used it only twice so far but I believe this is enough when it comes to the very cosmetic. I’m talking about hair care cream by Bumble and Bumble, Don’t Blow It which is a cosmetic the aim of which is to beautify natural hair texture, tame it and smooth as well as discipline, especially when we want to let the hair breathe freely without being exposed to a blow-dryer again. In other words, this product is designed to be used onto wet hair if we want it to be air-dried. My hair, when it dries on its own, without the use of a blow-dryer, turns into a total massacre. This is just a nightmare… I look like a tousled Einstein (no offense to this all-time genius). I don’t know if you face the same problem but it’s a common one for me. When I get back from a beach or a swimming pool, or when it’s so hot outside, I simply don’t have the heart to turn on a blow-dryer and treat my hair with this hot air. I just need to tie this hay-ish hair into a bun, plait a braid or follow a sequence of complicated ‘tangled’ actions which help me hide the fact that my hairdo just shouldn’t be shown to the public. 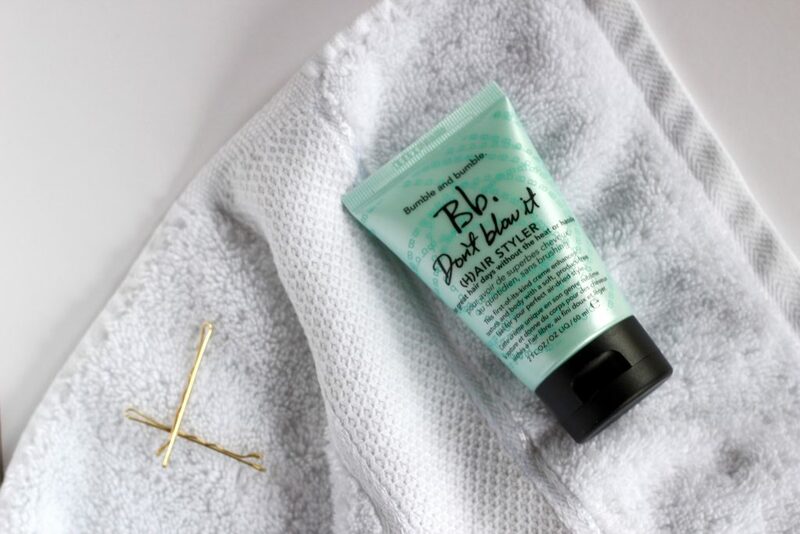 When I saw on Sephora’s website the new product by Bumble and Bumble, named Don’t Blow It, which was designed especially to beautify and tame this fuzz of lonely drying hair – I knew I wanted to give it a go.